But it does have some cool features besides its design -- the Realme 2 runs Oppo's Color OS on top of Android 8.1 and comes with a virtual SIM card that lets you data roam when you're traveling overseas. The cameras also have a button for 2x zoom, but because the secondary rear camera is only just 2 megapixels (and is used as a depth sensor for portrait shots), I suspect that this 2x zoom is digital instead of an optical or telephoto zoom. As mentioned earlier, the arrival date for Realme 2 and Realme 2 Pro in Malaysia is yet known at the moment. We’ll keep you posted we hear more from the brand. The Realme 2 will cost RP 1,999,000(~Php 7.2k) for the 3GB/32GB model and RP 2,399,000(~Php 8.6k) for the 4GB/64GB model. Pricing may change when it reaches our shores, but with their Indonesian price, the Realme 2 is competitively priced for what it has to offer. The Realme 2 is being advertised as a phone that brings what fans look for the most in a smartphone in 2018. This includes the notch, a dual camera setup and a large battery that lasts over a day. And to that effect, the Realme 2 delivers on these aspects, but in doing so, the company has also made a few tradeoffs. So you get a notched display but the resolution has now been downgraded to 720p. You get a bigger battery and dual cameras, but the chipset has been downgraded to Snapdragon 450. RealMe 2 Review – Retail Unit 3GB, 32GB Red variant, impressive! Though the RealMe 2 hardware is downgraded compared with the RealMe 1, the handset is still worth buying. Though RealMe 1 users might want to stick with the 1 unless they love the notch. So overall the RealMe 2 Notch smartphone is an excellent buy for Rs. 8,990. The Realme 2 offers good value for money for the Rs 10,990 price tag it comes in. It’s a handy phone for someone who isn’t a power user, and looks for a device that looks good and offers a lot of features to explore. Realme, as a brand, has somewhat established itself as someone who offers a big bang for the buck. While that may be missing in terms of the spec-sheet, it more than makes up for it with an overall smoother experience because of the refined UI. The Realme 2 competes with the newly launched Redmi 6 Pro. The company is promising good after-sales service by tying up with Flipkart. Both phones, however, are being sold via flash sales. So getting your hands on one might be difficult. There is also the Realme 2 Pro right round the corner, so you might want to wait and see what comes with that. Overall, the Realme 2 shows promise, but in a competitive market like the budget segment, where every piece of hardware matters, it might just lose itself in the crowd. I get it’s a cheap phone, but those of us with less spending power still want upgrades that actually upgrade our phones, right? A device at such an incredible price is a great idea, but it sure could've been better if it weren't for all the compromises. Realme 2 impresses with its design, battery performance and it is one of the cheapest phones to come with a notched display. Performance is good, I would say, when it comes to daily usage. 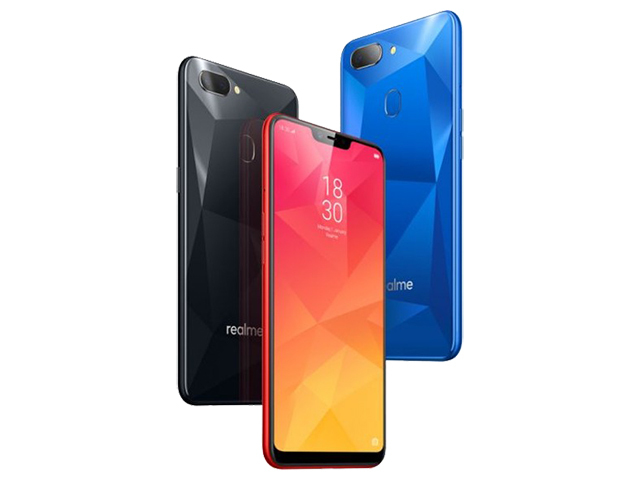 However, Realme 2 seems like a stripped down version of Realme 1 with a lower-powered processor and HD+ screen. For a smartphone to succeed in a category where competition is cut-throat, it has to have a lot going for it. With the Realme 2, it has a 4230mAh battery, and that is perhaps its forte. However, when it comes to other aspects, there aren’t too many things that stand out. The design aspect is nothing out of the ordinary but at the same time it delivers reasonably adequate performance. In a nutshell, the phone at a sub-10k price range offers what most of the mid-range models are offering today. Unless you think that the notch is a “standout” feature. If we leave out the dual rear cameras shots in daylight, other camera aspects are left wanting and as such, the camera segment cannot be said to be laudable. Going by the price, if you are not a camera enthusiast and want a budget phone model with strong build and long battery life, Realme 2 would be a good choice. Otherwise there’s always Xiaomi. Or Honor. Or perhaps a few other brands. There isn't a better-looking or more jam-packed with features phone 9,000 INR can buy in India right now. We can't speak for other markets, but if you are shopping for the best bang for your money in India - look no further. The Realme 2 is what you should get. Unless you don't fancy the notch - then kindly refer to the Realme 2 next of kin and grab the Realme 1. The Real Me is a good phone in the price segment. The company has included most of the smart features in this powerhouse and has equally compromised at certain aspects to pack it all together at the same price. The Real Me 2 clearly has the potential to cement its position amongst the budget segment for masses. Positive: Good price; impressive design; big screen; nice cameras; long battery life. Positive: Low price; nice dual cameras; elegant design; decent hardware. Positive: Low price; impressive design; nice dual cameras; powerful processor. Positive: Impressive design; nice dual cameras; powerful processor; high autonomy; low price. Qualcomm Adreno 506: Integrated graphics card in the Snapdragon 625 SoC and based on the new 500-series architecture with support for Vulkan, OpenGL ES 3.1 + AE (3.2) and UBWC. Only some 3D games with very low demands are playable with these cards. » Further information can be found in our Comparison of Mobile Graphics Cards and the corresponding Benchmark List. 450: Lower mainstream octa-core ARM Cortex-A53 SoC clocked at up to 1.8 GHz and the Adreno 506 GPU, a LPDDR3 single channel memory controller as well as an X9 LTE (Cat. 7 300 / 150 Mbps) modem.» Further information can be found in our Comparison of Mobile Processsors. 70.5%: This rating is bad. Most notebooks are better rated. This is not a recommendation for purchase.